Former Google chairman and CEO Eric Schmidt discusses how former college football coach Bill Campbell mentored him and many of Silicon Valley's greatest visionaries from Jeff Bezos and Larry Page to Marc Andreessen and Steve Jobs. Eric recalls how he initially reacted when venture capitalist John Doerr suggested that he work with a coach, how Coach Campbell helped shape the relationship between Eric and Google's founders Sergey Brin and Larry Page, and how the coach talked Eric out of resigning as Google's CEO in 2004. He shares how Bill Campbell coached teams more than individuals, and talks about the importance of trust and even love to a company's success. Eric opens up about his decision to step down as Executive Chairman of Google's parent company Alphabet in 2017 and his next big bet on the positive potential of artificial intelligence. Plus Eric Schmidt reveals why starting a meeting with some little polite chit-chat isn't just a waste of time and the power of hugs in the workplace. Order Eric's book Trillion Dollar Coach: The Leadership Playbook of Silicon Valley's Bill Campbell on Amazon, Audible or wherever books are sold. Today's podcast was sponsored by the new Hulu original series RAMY. Subscribe to Kickass News on Apple Podcasts and leave us a review, follow us on Twitter at @KickassNewsPod, and take our short listener survey at www.podsurvey.com/kick. As the longest serving senior official in Obama White House, Valerie Jarrett was known as one who "got" President Obama and helped him engage his public life, but she was also an early mentor, trusted advisor, and family confidante to the Obamas for decades. 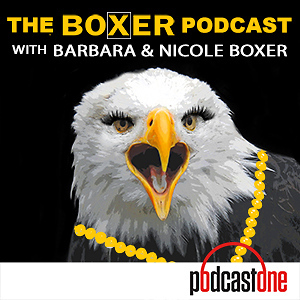 She remembers her first impression of Michelle and Barack Obama in 1991, shares her unique perspective on their marriage, and tells the story of the time when Michelle Obama recruited her to help convince a young Barack Obama to give up politics and get "a real job." She talks about being the person who kept President Obama connected to the world outside of Washington as director of Public Engagement and Intergovernmental Affairs and how her own experience as a single working mom influenced her to advocate for women and families. She describes the surreal/heartbreaking experience of watching the 2016 election returns with the Obamas in the White House residence, how she's been handling the Trump Presidency, and a few of her "pinch me moments" from her 8 years in the Obama Administration. Order her book Finding My Voice: My Journey to the West Wing and the Path Forward on Amazon, Audible or wherever books are sold. Today's podcast was sponsored by the new Hulu original series RAMY. 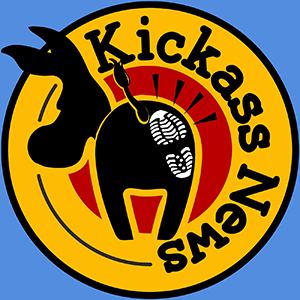 Subscribe to Kickass News on Apple Podcasts and leave us a review, follow us on Twitter at @KickassNewsPod, and take our short listener survey at www.podsurvey.com/kick. Bestselling psychotherapist Lori Gottlieb talks about the event that led her to seek help for herself, what it was like to switch roles and be the patient on the couch, and how her own quirky therapist got to the underlying issues of in life. She discusses some of her favorite patients including an insufferable Hollywood producer, a newlywed diagnosed with terminal cancer, and the patient who she says was "like looking in a mirror." Lori offers some ideas for how to address the mental health crisis in America and she weighs in on the ongoing debate among those in her profession over the Goldwater Rule. Plus Lori reveals whether she's ever dozed off on a patient, why her own therapist once kicked her in session, and what her colleagues think about her pulling back the curtain on psychotherapy. Order her book Maybe You Should Talk to Someone: A Therapist, HER Therapist, and Our Lives Revealed on Amazon, Audible or wherever books are sold. Visit her website at LoriGottlieb.com and follow her on twitter at @LoriGottlieb1. Today's podcast was sponsored by BetterHelp. Subscribe to Kickass News on Apple Podcasts and leave us a review, follow us on Twitter at @KickassNewsPod, and take our short listeners survey at www.podsurvey.com/kick. 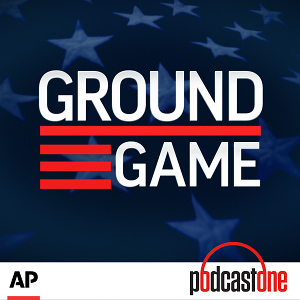 As America waits for the full Mueller Report, I talk with the first Trump official to plead guilty in the Mueller Investigation. George Papadopoulos was the young foreign policy advisor to the Trump campaign who reportedly told an Australian diplomat that Russia had thousands of hacked emails that could damage Hillary Clinton and tip the 2016 election to Donald Trump. He talks about the Maltese professor who first told him about the Clinton emails and why the mysterious professor has now vanished. I ask him whether he ever attempted to take the professor up on his offer, whether he reported news of the emails back to the Trump campaign, and why he didn't take this information to U.S. authorities at the time. Papadopoulos explains why he refused to wear a wire for the FBI, why he says he didn't intend to lie to the Mueller Investigation, and why he now believes that he was a "patsy" in what may have otherwise been a legitimate investigation into Donald Trump's connections to Russia. Plus he discusses why he's considering withdrawing his guilty plea and whether he might get a pardon from President Trump himself. Order his book Deep State Target: How I Got Caught in the Crosshairs of the Plot to Bring Down President Trump on Amazon, Audible or wherever books are sold. Today's podcast was sponsored by The Rochester Institute of Technology. Subscribe to Kickass News on Apple Podcasts and leave us a review, follow us on Twitter at @KickassNewsPod, and take our short listeners survey at www.podsurvey.com/kick. Comedian Chelsea Handler recalls her anger in the wake of the 2016 election and how Donald Trump became the unlikely catalyst for Chelsea to work through some unresolved personal issues with the help of a clever psychiatrist named Dan. She discusses her decision to walk away from her Netflix talk show in order to dedicate herself to political activism and campaigning for minority and female candidates in 2018. Chelsea opens up about how the sudden death of her favorite brother impacted every relationship she has had since then, she says she's finally ready to find a serious partner now, and she lists some of her dealbreakers for a potential mate. Chelsea talks about the moment she realized she was incapable of operating her own television or making herself a cup of coffee, how she cured herself of "domestic amnesia," and she describes the humbling experience of making a documentary about white privilege. Plus we get into her deep attraction to Robert Mueller, her obsession with rescuing Chow-Chows, how to fake a Jewish funeral, and more. Order Chelsea Hander's new book Life Will Be the Death of Me: . . . and you too! on Amazon, Audible or wherever books are sold. Keep up with Chelsea at www.chelseahandler.com and follow her on Twitter at @ChelseaHandler. Today's podcast was sponsored by Kronos and Zebit. Subscribe to Kickass News on Apple Podcasts and leave us a review, follow us on Twitter at @KickassNewsPod, and take our short listeners survey at www.podsurvey.com/kick. Comedian Wyatt Cenac discusses how he wanted to distinguish his HBO docuseries Wyatt Cenac's Problem Areas from his work as a correspondent on The Daily Show including forgoing the traditional studio audience and creating a fun retro 70s look for the show. He talks about checking his own biases to explore different perspectives on the contentious issue of policing urban communities, what he wants to learn about America's education system in Season 2 of Problem Areas, and why the topic of school choice is so controversial. Plus we get into the college admissions scandal, goat yoga, and more. Season 2 of Wyatt Cenac's Problem Areas debuts Friday, April 5 at 11 p.m. ET on HBO. Visit www.wyattcenac.com for more info on Wyatt including his upcoming standup dates and follow him on twitter at @WyattCenac. Please subscribe to Kickass News on Apple Podcasts and leave us a review, follow us on Twitter at @KickassNewsPod, and take our short listeners survey at www.podsurvey.com/kick. Preet Bharara talks about his eight years as the U.S. Attorney for the Southern District of New York, what movies and TV get wrong about criminal investigations, and why the job is more than just "connecting the dots" or "following the money." He says if you want to get a confession out of a bad guy, food works better than playing hardball, he discusses the devil's bargain of cutting deals with cooperating witnesses, and why sometimes the cases you don't prosecute are just as important as the ones you do. 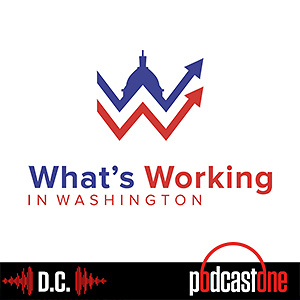 Plus Preet weigh in on the Mueller Report, whether U.S. Attorney General Bill Barr's interpretation of the report can be trusted, why Mueller didn't make any recommendations, and whether Mueller intended to "punt" those decisions to Congress rather than Barr. Order Preet Bharara's book Doing Justice: A Prosecutor's Thoughts on Crime, Punishment, and the Rule of Law on Amazon, Audible or wherever books are sold. Subscribe to his podcast Stay Tuned with Preet on Apple Podcasts and follow him on Twitter at @PreetBharara. Today's podcast was sponsored by BetterHelp. Please subscribe to Kickass News on Apple Podcasts and leave us a review, follow us on Twitter at @KickassNewsPod, and take our short listeners survey at www.podsurvey.com/kick. Stacey Abrams has become a political superstar since running for governor of Georgia in 2018 and delivering the Democratic response to President Trump's State of the Union this February. We talk about her private meeting with Joe Biden, the rumors of a Biden-Abrams ticket in 2020, and what issues she'd campaign on if she does run for national office. She discusses making history as Georgia House Minority Leader and her party's nominee for governor, why she refused to concede defeat in the 2018 gubernatorial race, and why she believes widespread voter suppression tipped that election to her opponent. 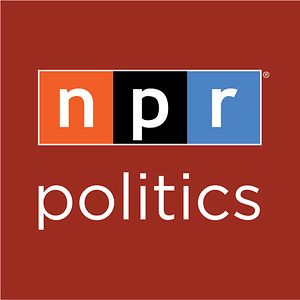 She explains the careful balancing act of being a woman of color in a position of power, why minority politicians undergo way more financial scrutiny than their white colleagues, and how the Republican Governors Association mocked her for daring to seek higher office as a woman. Stacey also admits to being a Star Trek: Next Generation "super-fan" and reveals what the show can teach us about outsider politics. She shares her personal philosophy of "work-life jenga," talks about moonlighting as a successful romance novelist, and opens up about finally making time for dating and romance in her own life. Order Stacey Abrams' new book Lead from the Outside: How to Build Your Future and Make Real Change on Amazon, Audible or wherever books are sold. Learn more about Stacey's voting rights group Fair Fight Action at www.fairfightaction.com, and follow her on twitter at @staceyabrams. Today's podcast was sponsored by The Rochester Institute of Technology and Brother INKvestment printers. Please subscribe to Kickass News on Apple Podcasts and leave us a review, follow us on Twitter at @KickassNewsPod, and take our short listeners survey at www.podsurvey.com/kick. 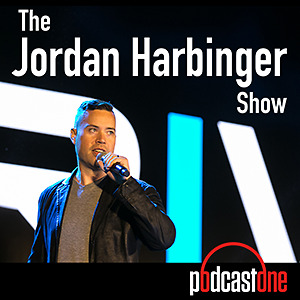 Bestselling authors Dr. Warren Farrell (Why Men Are The Way They Are) and Dr. John Gray (Men Are from Mars, Women Are from Venus) warn that boys around the world are in crisis and say it's largely the result of a crisis of fathers who suffer from a "purpose void" as their traditional role is being diminished. They reveal how moms and dads parent differently and how fathers use things like rough-housing with the kids to establish boundaries. They discuss how the lack of boundaries can lead to ADD and ADHD in young men and caution parents to focus on the root cause of ADD before they resort to drugs like Aderall. They talk about the difficulty they've had getting lawmakers to take the boy crisis seriously and offer some recommendations for how the government and our schools can help address this growing problem. Order John and Warren's new book The Boy Crisis: Why Our Boys Are Struggling and What We Can Do About It on Amazon and learn more at www.boycrisis.org. Keep up with Warren at www.warrenfarrell.com or on twitter at @drwarrenfarrell, and follow John at www.MarsVenus.com or on twitter at @RealJohnGray. Today's podcast was sponsored by Brother INKvestment tank printers. Alyssa Mastromonaco spent 6 years in the Obama White House as assistant to the president, director of scheduling and advance, and deputy chief of staff for operations. She says working in the West Wing is a lot like VEEP and recalls some of the lighter moments including getting down on the dance-floor with Michelle Obama, impersonating a hedge hog for President Obama, and the time the leader of the free world tried to play matchmaker. She opens up about her at times comical struggles with irritable bowel syndrome including a few close calls at the most inconvenient moments, and the time that she contracted something called "beaver fever" (yes, it's a real thing) during a state dinner in Tanzania. She reveals all the care and protocol that went into every foreign trip she planned for President Obama, and why it was more than a little disheartening to watch President Trump bungle his way through a hastily thrown together North Korea summit. She also warns that Trump's use of a personal iPhone is a major security risk, she predicts what Democrats will be looking for in 2020, and she advises Dems to banish the term socialism from their vocabulary. Order Alyssa Mastromonaco's book So Here's the Thing: Notes on Growing Up, Getting Older, and Trusting Your Gut on Amazon, Audible, or wherever books are sold. Follow her on twitter at @AlyssaMastro44. Today's podcast was sponsored by Kronos and BetterHelp. Please take our annual podcast listener survey and register to win a $100 Amazon gift card at www.podsurvey.com/kick. Subscribe to Kickass News on Apple Podcasts and leave us a review. Follow us on twitter at @KickassNewsPod. Visit our website at www.kickassnews.com.